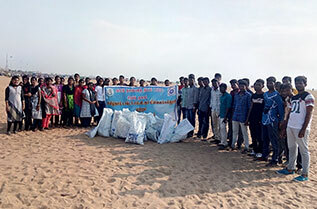 The International Coastal Cleanup 2018-19 programme was organized by the Lions Club at Marina beach, Chennai on 15.09.2018 at 6:00 a.m. More than 300 students from various colleges in and around Chennai participated in the event and they were guided by Assistant Professors, NSS & NCC Staff of the respective colleges. As a part of NSS activity, first year B.F.Sc. students led by Mr. P. Velmurugan, Asst. Professor of Dr. M.G.R. 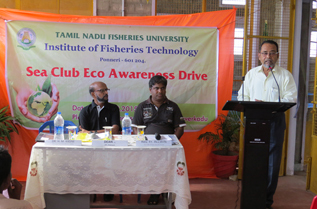 Fisheries College and Research Institute, Ponneri also participated in the event. The NSS special camp for the third year B.F.Sc students was inaugurated on 07th August 2018 in the presence of Dr. Cheryl Antony, Students Coordinator, Mr. Ravi, Ornamental farmer, Mr. M. Kalaiarasan, NSS Programme Officer, Mr. P. Velmurugan, Asst. Professor. Third year (First Batch) students of FC&RI,Ponneri involved in NSS activities at KottaikuppamPanchayat, Pazhaverkaadu from 24 -30th July 2017. The inter collegiate cultural competition PONFIMA’18 was organized by FC&RI PONNERI on 23rd March, 2018. 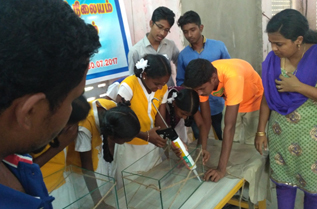 A total of 6 colleges participated in the competition namely Madras Veterinary college, Vepperi; Fisheries College and Research Institute, Thoothukudi; College of Fisheries and Engineering, Nagapattinam; Dr.M.G.R. Fisheries College and Research Institute, Thalaignayeru; College of Food and Dairy technology, Koduvalli; The New college, Chennai.There were about 14 competitive events such as Solo singing, Solo Western /Folk Dance, Ad zap, Mime, Photography, Rangoli, Chart painting, three minutes to shine, Dub smash, Group dance, Quiz, Face painting, Fruit art, Solo classical dance. Tamilnadu Fisheries University Fisheries College - Research Institute - Ponneri. 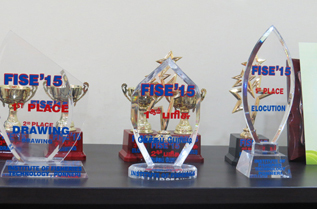 Gallery images of College Day, Sports Day and Hostel Day 2014-15. As a part of the Sea Club activities, an eco-awareness campaign and drive was conducted at Pazhaverkadu. The Campaign started with a formal inaugural ceremony at the Pulicate lake Field Research Facility (PRFF) of Fisheries College and Research Institute, Ponneri. Dr. S. Felix, the Dean, Fisheries College and Research Institute,FC & RI Ponneri presided over the ceremony. 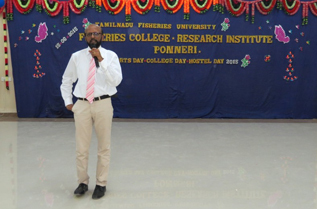 Tamilnadu Fisheries University Fisheries College - Research Institute - Ponneri. 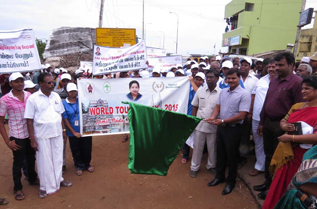 Gallery images of ECO – Awareness Campaign, Ponneri. The inauguration of Students’ Association, Sea Club and the Inter-School Eco Awareness Campaign was conducted in a grand manner at FC & RI,Ponneri on Feb 24 2015.